CREDIT scores can be confusing. But it’s worth getting to know them better, as they could make all the difference when you apply for deals such as mortgages, car loans, and even mobile phone contracts. They can also be crucial when it comes to being offered a better or worse rate on a loan. There is a difference between soft and hard credit searches. Checking your credit score is a soft credit search. This means that no matter how many times you check your score, it won’t have an impact. Hard credit searches do leave a mark, but these are only carried out by lenders when you’ve applied for credit. Your credit score may be different depending on which credit reference agency you use – as each have different criteria and methods for calculating a credit score. When you apply for credit, each lender assesses your application differently, so rejection from one doesn’t mean rejection from all. But it’s important, if you’re knocked back, not to then make multiple credit applications. This can indicate that you are having problems, which may make lenders think twice. Just because someone may have a lower-than-average credit score, does not mean it’s impossible to get access to credit. However, they may be offered credit at a higher rate of interest. Financial accounts, credit cards and loans remain on your file for six years from the date that they have been settled and closed. Being in a relationship or living with someone else doesn’t mean they arbitrarily influence your credit rating. 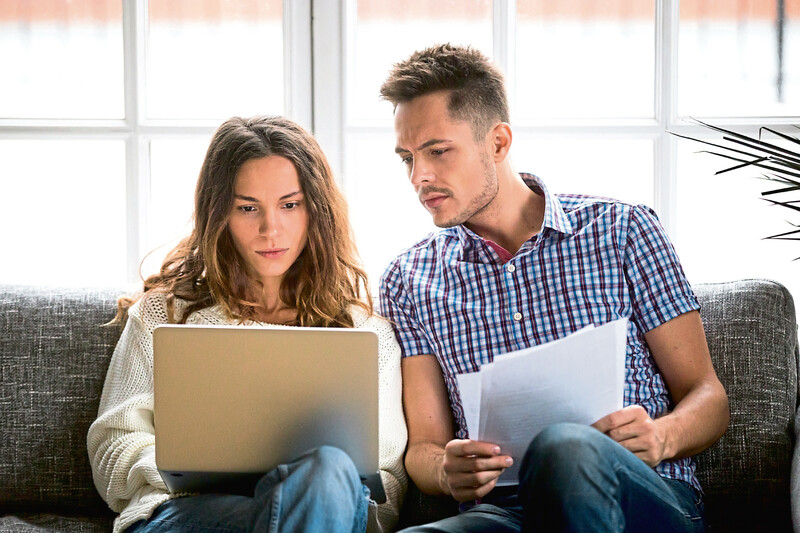 But your partner can affect your score – for better or worse – if there is a financial association, such as a joint bank account, mortgage or loan. If you are financially associated with someone else, it will appear on your credit report, which means they can affect your score. This is not necessarily true. Lenders like to make informed decisions. If you have limited or no credit history, then lenders have insufficient financial information about past behaviour. This may increase your chances of being refused credit. Nonsense! No matter how bad your credit score, you can always improve it. This could include registering to be on the electoral roll or closing down any unused accounts, for example. Someone with a high income or savings may still find it hard to get credit if they have debts or a history of missed payments. However, your salary may form part of the criteria lenders use to decide whether to lend to you.